Next to the wedding ceremony, your wedding reception is the biggest part of your wedding day and aside from the food and drink, the most important part of your wedding reception is the music. In the United States it has become very common to use a Disc Jockey (DJ) to provide the music and emcee at wedding receptions. Finding a DJ for your reception is probably going to be a bit more complicated but a lot more important decision than you may think. We’re here to help by trying to go over some basic do’s and don’ts in finding just the right DJ for your special day. We’ll go over whether a DJ or a band is right for you, how to choose the right DJ, what to expect and ask for from them, a bit about the contract, and some common problems to look out for. Should I use a band or a DJ? There are a lot of pro’s and cons to both in deciding on whether to use either a band or a DJ for the music at your reception. In a nutshell the choice boils down to what kind of musical feel and experience you want for your reception and the amount of money you want to spend. Let’s talk for just a minute about wedding bands to illustrate the major differences and see if maybe that’s the way you want to go, then we’ll get back to DJ’s. The same rules of thumb will apply to finding and hiring either and to the contracts and what you should ask for and expect for from both. Having a live band provides a much different musical experience for your reception but they usually cost a lot more. Live bands have a much bigger sound, different dynamic and larger presence and can interact with your guests a bit differently than a DJ. Wedding bands will usually always play requests and emcee the reception in basically the same way as a DJ. 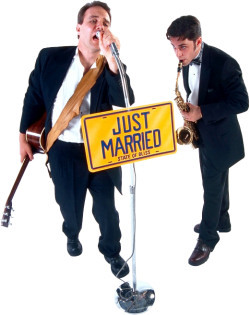 An experienced wedding band knows how to keep your reception moving along and keep it exciting, keep people dancing and do all the traditional, intimate things like having special dances for the bride and her father, groom and his mother, etc. On the downside, you are dealing with a group of people instead of just one or two, and a lot more equipment, which means there are that many more things that can go wrong, so bands can tend to be somewhat more unreliable than DJs tend to be. A DJ is not as large a presence and the sound is very different than a live band, but a good DJ can really work a crowd and entertain your guests and they cost a lot less. 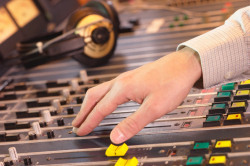 An experienced wedding DJ can really make your reception special. DJ’s usually have an extensive library of music so they can take care of almost any requests, they cost a lot less and you’re only dealing with one or sometimes two people, so your chances of something going wrong are minimized. Having said that, since you usually are only dealing with one person, if something does go wrong with that one person, or they have the wrong or a bad personality, you can end up with nobody or just a really long, really bad day. Bands and DJ’s can both usually find a quick replacement if someone can’t make it, but you can see the problem with both. A good rule of thumb is to try and have a backup for either and that they will be available on fairly short-notice and that your band or DJ will try to call you in plenty of time if they run into trouble of any kind in making it to your reception. A phone call to your band or DJ one month and again one week before your wedding, to confirm everything is set, is always a good idea, this gives time to get your backup in place if you need to. This should just be a quick, friendly call, just to say hi and make sure all is still on track and to go over any last minute changes, requests or ideas. Don’t get overly concerned with problems or something going wrong though, just have fun planning you special day! Many of the problems with no-shows and bad equipment we discussed above will rarely occur if you do your homework and use due diligence in picking an experienced, professional band or DJ. But they can happen, and it’s a really good idea to have some kind of a backup plan in place. People usually opt to use DJs because it’s simpler than dealing with a live band and usually less expensive. You will usually find quite a few DJs in your area to choose from, and they will range in experience from casual guys that moonlight and do it on the side to professional wedding and corporate DJ companies and DJ’s that can come equipped with their own light show if that’s what you want. Sometimes you can find a casual moonlighting DJ that can do just as good a job as the more expensive guys so you have to check them both out before you decide, more about that later. Prices can usually range from $300 to $3,000 for a DJ, the average being around $1,200 for a professional and depending on who and what you include. There are lots of options here but there are also almost as many things that can go wrong. Remember your wedding reception is no time for amateur hour! The bottom line in deciding on your DJ, and the single most determining factor, should be experience, experience, experience. You should always opt for the DJ with the most experience - specifically wedding reception experience - that you can find. There is a flow to wedding receptions and a professional, experienced wedding DJ that has done many receptions is familiar with how receptions proceed, the traditions, and how to emcee and keep your reception moving along and keep your guests happy and dancing. There is also nobody that can save your reception faster when something goes wrong, food gets delayed, or other things happen, than a really experienced wedding reception DJ. Most of the time your guests will never know of a problem as the DJ has kept them entertained while the problem was fixed. One of the best ways to find a top-notch wedding DJ is to ask the venue where you are having your reception if they have one that has done numerous weddings there that they can recommend. A DJ that knows the venue and the support staff and has worked it many times before is a real advantage, obviously has the experience and can really help things run super smoothly. If you are using a DJ company, a good idea is to always insist on hiring the owner of the company. The owner will probably cost more to hire but they will almost always have more experience and it is usually well worth the extra money. You can specify this in your contract with no substitutions allowed so they can’t switch at the last minute. But getting back to what we talked about before, always have your own backup plan, even if you’re using the best DJ company on the planet, and always check in quickly and confirm a month, and then the week before your wedding to make sure everything is still on track. Another good way to find a good DJ is word of mouth or personal experience. Ask co-workers and friends or maybe the DJ that did that awesome job at the last wedding you went to is available. Another option to all the above is to ask the caterer, tuxedo rental company, photographer, or the limo company you are using if they can recommend one. Oftentimes they will run into certain DJ’s over and over and get to know the best ones because they are all basically all in the same business of doing weddings. Aside from experience, the other most important thing to look for in hiring a DJ (or band for that fact) is their personality. They really should be someone that will fit in comfortably with you and your guests and be able to develop a rapport with everyone during the reception. People should feel comfortable with the DJ and he should be someone you feel will go to extra lengths to be friendly and talk nicely with your guests as they will probably be talking to the DJ and asking for requests throughout the whole reception. Try never to hire a DJ sight or video unseen! A good idea when possible is to always pre-interview your prospective DJ over the phone and then when you think you’ve found the right one, you set up a meeting in person to make sure they really are the right DJ for you and go over all the details, and sign the contract. 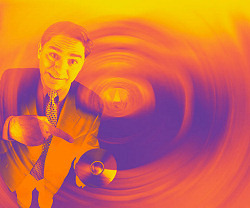 Meeting in person isn’t always possible, but never, ever hire a DJ sight or video unseen! A major rule of thumb, especially if you can’t meet in person, is to always, always, always ask them to send you some video of RECENT receptions they have done so you can see them in action. OK, you’ve done your homework and you’ve found your perfect DJ. He’s got a lot of experience, has done a lot of weddings, and you get along with him well personally and you’re ready to meet in person. There are a few things you should go over with and look for from your DJ, and a good one will want to go over these with you to ensure a smooth and memorable reception. Absolutely the most important thing to look for in choosing your DJ, besides experience, professionalism and the right personality, is their equipment. Ask about the quality and condition of the equipment your DJ will be using and make sure it is professional quality and in good working condition. If the DJ does corporate functions, chances are they have state of the art equipment. One of the reasons to see RECENT video is to check out their current equipment setup. Make sure your DJ is able to handle any technical or equipment problems that may come up and preferably that they have some backup equipment on hand in case of a breakdown! Names of the wedding party guests and the pronunciation. Go over the names of all the members of your wedding party that the DJ will be introducing at different points during the reception. You should provide them a list with the names, who they are and the phonetic pronunciation next to the name so you are sure it will be pronounced correctly. It really ruins the professionalism of the evening, and is very uncomfortable for all, when the DJ introduces the mom of the bride or someone else and says their name wrong! 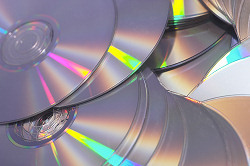 Find out how extensive a music library your DJ has, what type of CD’s they are using, and how they will handle requests. A lot of DJ’s will be well organized and even digital so they can look up and play songs quickly and easily. Ask to see how your DJ will find and select songs. What you don’t want is your DJ fumbling through stacks of CD’s or compilation CD’s looking for an important song! Having said that, now that you’ve hired them and they are working, trust them to pick the songs to play and don’t treat your DJ like a jukebox operator! A professional DJ that is experienced will know what songs to play and when. They will know how to feel out the crowd and keep your reception going. To a large extent you should always let your DJ read the crowd and decide what songs to play to as well as providing requests. There are certain special songs that are played at different points during every reception and you need to go over these with your DJ before hand. The song for the first dance which is always between the bride and groom is usually a special song for them that they will select and the DJ must have. The second dance is between the bride and her father and some traditional songs would be “Daddy’s Little Girl” or “What A Wonderful World” but usually again it will be a song that is special to the bride and her father. The third dance is usually between the groom and his mother, again sometimes a traditional song like “Moon River” or “Sunrise, Sunset” can be played, but usually the mom and groom will select a special song they want to have played. If you have picked the right DJ, he has done this many times and knows what songs to play and can help you decide. Just ask your DJ for more traditional song ideas or make sure that they have your special songs available if you pick your own. Requests are a big part of a really enjoyable reception and your guests will be asking the DJ to play requests all night long. Song requests are what keep your guests partying and out on the dance floor and will really help make your reception a hit. This brings us back to how well organized your DJ is and how extensive a library of songs they have. Make sure your DJ is able to quickly and easily handle almost any requests from your guests! If you have songs you know you want played, go over them in advance and make sure your DJ has them, if not, make sure they get them. A lot of DJ’s have song request lists you and your guests can fill out in advance so they can make sure they have the songs on hand. A hugely popular hit at receptions is karaoke. 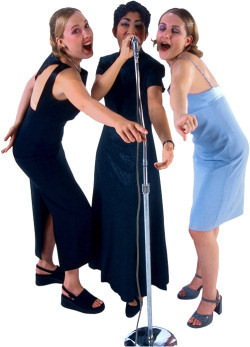 A DJ that is set up for karaoke is a big plus and your guests will absolutely love it. But here again you need to make sure the DJ has good equipment and they are set up right for it, otherwise it can just be frustrating for everyone if things don’t work right. If done right it can really make the night, and there is nothing more fun than watching wedding video months after and for years later, of Uncle Harold, or Cousin Kevin singing karaoke after having a few glasses of wedding champagne! Your contract should have the date you sign it, your name and the name of the DJ or the DJ you want if you hire a specific DJ (such as the owner of the company), specify no switching DJ’s allowed. The date, time and location of your wedding reception and the time they should be there to begin. Your contract should clearly spell out all charges and fees, including any extra equipment or services that you have asked for. An itemized list is best for this. Any deposits and the balance due should be noted, and the terms (refundable and non-refundable). Any special requests you have, songs you want played or services you want to make sure are done, should be included in the contract. Any songs you wish not to be played. Example: Ex's favorite song. Overtime charges should be specified in case your reception runs longer and that payment will be taken care of AFTER not DURING the reception. Both you and the DJ sign the contract. Specify the attire you want. Tuxedo is the norm for the DJ to wear so specify that you want the DJ to wear a tuxedo. Specify what backup arrangements have been made in the event the DJ you hire gets sick or can’t make it for any reason. Specify who the replacement will be or at the very least that one will DEFINITELY be provided. You may also want to specify that the DJ have backup equipment. Let’s talk a bit about non-refundable deposits. Non-refundable deposits are designed to protect the DJ against lost revenue in the event you decide for some reason not to use them. 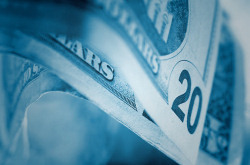 Before you sign a contract with a non-refundable deposit, make sure you are 100% comfortable with your DJ and also the terms specified under which you can get your deposit back (for example, if the DJ doesn’t show up, equipment breaks down with no backup, or they don’t fulfill some part of the contract in any way). What about food? Find out if your DJ wants to eat and include that in the contract. Some DJ’s will want to be fed, others will not want to eat while they are working, so find out in advance so you can order another meal, and put it in the contract. You will probably spend at least 10 hours talking to your DJ before your wedding day and consulting with them on the specifics of the reception and everything you want. Remember if you choose the right one they will be very experienced, they will be able to guide you through the whole process and you will have the wedding reception of your dreams and one that you will want to remember for a lifetime! We wish you the best of luck in your search and wish you the best for your wedding.